At Energy Swing Windows, we offer attractive, maintenance-free patio doors in a variety of styles and colors to match any home decor. Call us at today 1-844-385-9318 to speak with one of our knowledgeable specialists or click below to fill out our simple online form for a free estimate in Bethel Park, Monroeville, West Mifflin or nearby. We can help you get the perfect patio door for your home to complement your outdoor space! 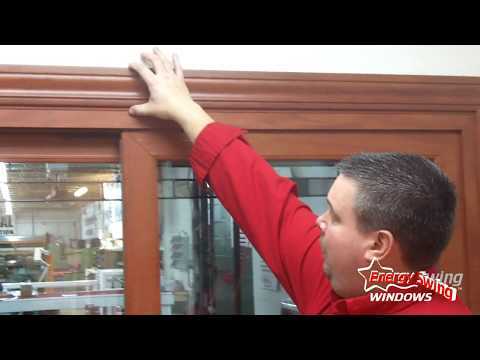 Drastic Door Replacement in Irwin, PA! Whether in your kitchen, master bedroom, or family room, patio doors provide convenient access to the backyard or any outside area while brightening any room and offering unobstructed views of your surroundings. ProVia offers several great patio door options to give you a beautiful entryway in your home. Endure: Endure Vinyl Sliding Doors combine a beautiful appearance with top of the line energy efficiency. These doors come with thermal glass and your choice of two, three, and four panel doors. You can also choose the slide direction as well as a number of color and hardware options. Aspect: Aspect Vinyl Sliding Doors offer an ENERGYSTAR® rating to go with a durable design. These doors offer multiple design and color options, including pane number and slide direction. Aeris: Aeris Wood Sliding Doors provide the beautiful natural appeal wood with the option of multiple stains and colors. These doors have a variety of glass options, including decorative and tinted glass. Aeris doors are available in multiple sizes and slide directions. Designer: Designer Hinged Patio Doors offer a swinging door system in either fiberglass, woodgrain texture, or steel. These doors come in a variety of colors and offer you your choice of pane number and swing location. Interested in finding a new patio door for your home? Contact Energy Swing Windows today to learn more about our wide variety of patio door options. 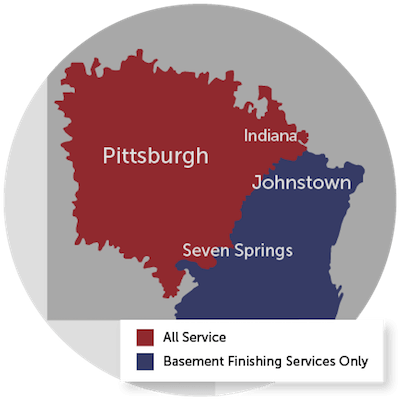 We offer free estimates on all our work in Bethel Park, Monroeville, West Mifflin, Irwin, McKeesport, Coraopolis, New Kensington, Greensburg, Export, Trafford, Canonsburg, Latrobe, Bethel Park and throughout the surrounding areas.